Glucose homeostasis relies on tightly regulated insulin secretion from pancreatic beta-cells, and its loss in diabetes is associated with the dysfunction of these cells. Beta-cells reside in the islets of Langerhans, which are highly vascularized by a dense capillary network comprised of endothelial cells and pericytes. While the requirement of the endothelium for the proper pancreatic function is well established, the role of pancreatic pericytes has only recently begun to unveil. 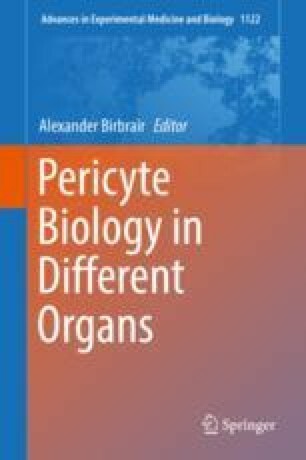 Recent studies described multiple roles for pancreatic pericytes in glucose homeostasis, highlighting their function as both regulators of islet blood flow and as a source of critical signals that support proper beta-cell function and mass. Furthermore, recent findings point to the contribution of pericytic abnormalities to beta-cell dysfunction in type 2 diabetes, implicating the involvement of pancreatic pericytes in both the initiation and the progression of this disease. This newly gained data implicate pancreatic pericytes as critical components of the cellular network required for glucose regulation.